March 25, 2019 (DECATUR, GA) – Soapbox racers and racing fans, mark your calendars. The volunteers that organize the annual Madison Avenue Soapbox Derby confirmed the 2019 event will take place Saturday, October 5 in Oakhurst. Also of note, the Board of the Madison Avenue Community Fund (MACF) announced its call for beneficiaries for the 2019 derby. Local nonprofit organizations serving children are invited to submit a proposal to be considered for financial support from MACF by e-mailing madisonavesoapboxderby@gmail.com. The submission deadline is Friday, April 19. The Madison Avenue Soapbox Derby stands out as Decatur’s largest community-led spectator sporting event. Started in 2011 by a group of fun-loving neighbors, the event has raised more than $160,000 for local charities serving children. 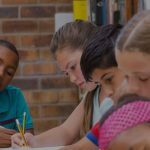 Some prior beneficiaries include Decatur Education Foundation, Decatur Robotics, Gigi’s Playhouse, Hagar’s House and others. The non-motorized racing event challenges amateur racers to design and build human-powered soapbox cars and compete against the clock in a downhill race. Competitors are divided into age groups with awards given out for fastest times and most creative car themes. Nearly two-dozen local businesses in Decatur and surrounding areas helped underwrite the 2018 derby, which drew an estimated 1,500 attendees and featured nearly 100 racers. This family-friendly event is free for spectators and open to the public. 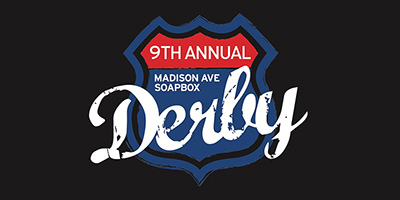 For details on suggesting a beneficiary, signing on as an event sponsor, competing in the derby, or volunteering, visit madisonavesoapboxderby.org. More information will be released in September about food vendors, entertainment and programming for race day. Follow the Madison Avenue Soapbox Derby on Facebook, Twitter and Instagram. 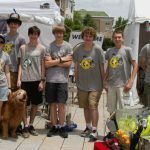 The Madison Ave Community Fund (MACF) is a 501(c)3 non-profit charitable organization run by volunteers to direct the funds raised from the Madison Ave Soapbox Derby and other future events. Created in 2011, the Madison Avenue Soapbox Derby brings together area families to have fun while raising money for a local charity benefiting children in the Decatur community. With support from neighbors and neighborhood businesses, the event has grown from 20 drivers in 2011 to 100 drivers, raising more than $150,000 for local children’s charities including REAP, Hagar’s House, Gigi’s Playhouse, Decatur Robotics, Decatur Education Foundation and others. Learn more and sign up to participate at madisonavesoapboxderby.org.